Art is supposed to be an expression of something deep inside the artist, and that's literally the case with the paintings, installations, and exhibits on this list. Whether displayed as bits of natural history or the product of more personal processes, there are museums all over the world that will happily put substances on a pedestal that most of us would cringe to see on the floor. That's right, we're talking about poop. Shock value, of course, has its place in art and can make an important impact on the viewer, and fossilized dinosaur poop is just good family fun. Some of these exhibits would be a fascinating addition to any museum; others would have been better off left where they were found. Which of these exhibits would you flush first? 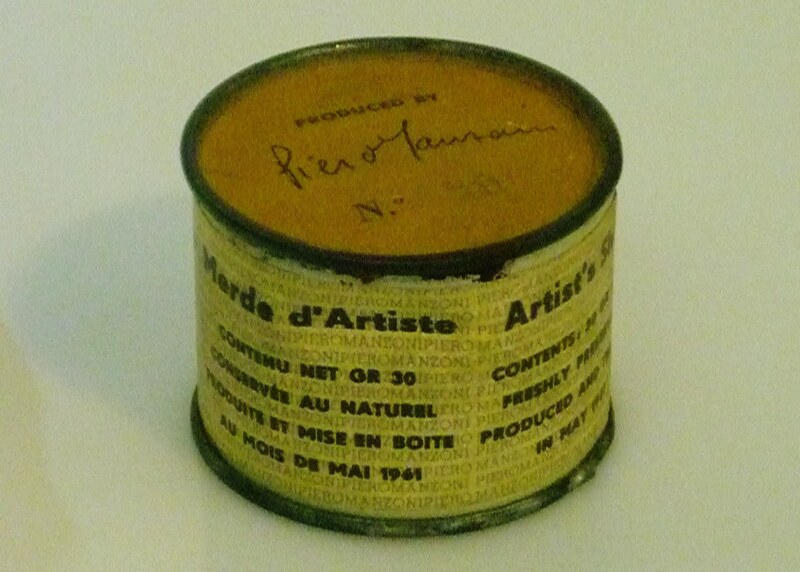 Piero Manzoni's work Merda d'artista (Artist's Sh*t) is 30 grams of just what it says, preserved in 1961 for all eternity in a tin can with a neat label. There were 90 cans, um, produced, and the world famous Tate gallery owns one. Another was auctioned off last year for £182,500 pounds ($241,670). The swanky Art Basel sets the art world's trends and attracts art collectors to Basel, Miami, and Hong Kong each year. In 2007, collectors who came to Basel were treated to a solo installation of Terence Koh's Gold Plated Poop: lumps of the artist's most intimate offerings encrusted in gold and displayed in glass vitrines. The works quickly sold for nearly $500,000. 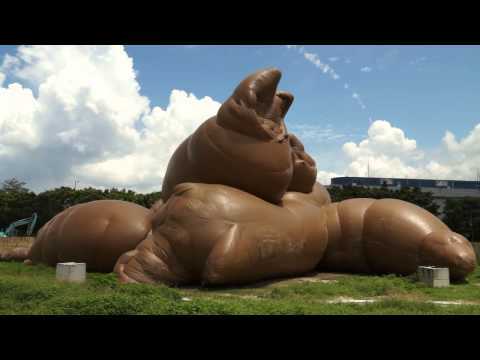 Los Angeles artist and notorious rascal Paul McCarthy didn't actually use excrement to create his 51-foot-high inflatable sculpture Complex Pile, but it's proved to be the messiest piece on this list, bringing down a power line and breaking windows in Switzerland in 2008, and deflating into a pile of wet trash during a rainstorm in Hong Kong in 2013. Would you pay $4.6 million for a canvas balanced on some elephant dung? Well someone did, because Chris Ofili's The Holy Virgin Mary sold at auction for that amount in 2015. A depiction of the Virgin Mary with a breast made of elephant dung, resting on two more generous piles of feces, the work hung in museums in London, Berlin, and New York as part of the traveling Sensation exhibition from collector Charles Saatchi between 1997-2000.